What common issues frequently result in failed brake inspections, out-of-service notices, or accumulation of CSA violation points? Does being issued a citation for a brake violation mean your vehicle is automatically placed out-of-service? Did you know that for vehicles placed Out-of-Service, nearly half are due to brake-related violations? After reading this article, you will have a good understanding of what inspectors look for during a brake inspection as well as tips on what you, as a driver or technician, can do to help maintain a safe and compliant brake system. Additionally, the Commercial Vehicle Safety Alliance (CVSA) works to educate and remind fleets, drivers and technicians of the importance of properly installed and maintained brakes. Each year, they conduct an annual Brake Safety Week campaign. For 2016 this will be held during the week of September 11-17. Be prepared for commercial motor vehicle inspectors to be conducting brake system inspections on trucks and buses. Citations and Out-of-Service Orders – What’s the Difference? Tire Pressure, Tire Tread and Overall Tire Safety – How to Prepare for Roadcheck 2016. Roadcheck is an annual event sponsored by the Commercial Vehicle Safety Alliance (CVSA), North America’s leading commercial vehicle enforcement organization. Within a 3-day period, 10,000 CVSA and FMCSA (Federal Motor Carrier Safety Administration) inspectors conduct roadside inspections at more than 1,500 locations. The goal of this event is to increase safety and security on the highways and reduce the number of crashes involving commercial vehicles. The 2016 Annual Roadcheck event will take place June 7-9, 2016. 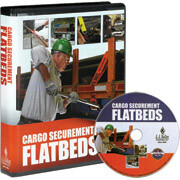 Each year, emphasis is placed on a specific area of compliance and this year it is Tire Safety. This includes measuring the tire tread depth, checking tire pressure, checking to make sure that no items are lodged between dual tires, and inspecting the overall condition of the tire. Having reliable tire safety tools in your vehicle makes it easy and inexpensive to check the health of your tires when traveling or performing pre-and post-trip driver inspections. The vehicle inspection will also include checking items such as the braking system, cargo securement, coupling devices, exhaust systems, frame, fuel system, truck and trailer lighting, steering mechanism, driveline/driveshaft, suspension, wheels and rims, and windshield wipers. All commercial motor vehicles (trucks, buses, and motor coaches), plus all CMV drivers of those vehicles, could be subject to a roadside inspection. Aside from the obvious safety reasons, violations can affect your CSA scores. 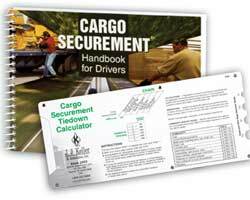 CSA measures safety performance by violations, and scores can be attached to either the driver, the company, or both. In order to get and keep a good CSA score, it is necessary to sharply reduce safety violations under CSA’s Vehicle Maintenance BASIC Category. • Other common vehicle violations were: Tire tread depth below 2/32, brake out of adjustment, oil or grease leak, brake hose not secured against damage, and cargo securement. To help prepare for the tire safety inspections that will be emphasized during this year’s inspection blitz, be sure to have a reliable tire pressure gauge and a tire tread depth gauge on hand. Ryder Fleet Products carries high quality pencil type air gauges, digital tire pressure gauges, dial gauges, and tools to measure tire tread depth. Download the Tips for Avoiding Tire Violations pdf from International Roadcheck. 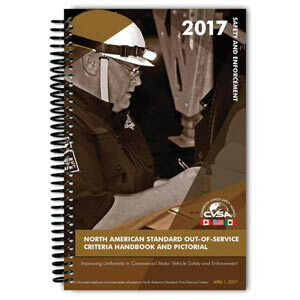 For additional training resources to help ensure your vehicles and drivers are prepared to pass a comprehensive inspection, such as Roadcheck 2016, we’ve gathered some of our top educational choices from safety expert J.J. Keller that can help you protect your safety reputation, CSA BASIC scores, and bottom line. CSA Roadside Lighting Repair Kit No vehicle should be on the road without a quick and easy roadside repair kit. 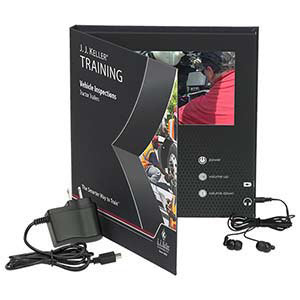 This kit includes what you need to get them back on the road with legal lamps as quickly as possible.